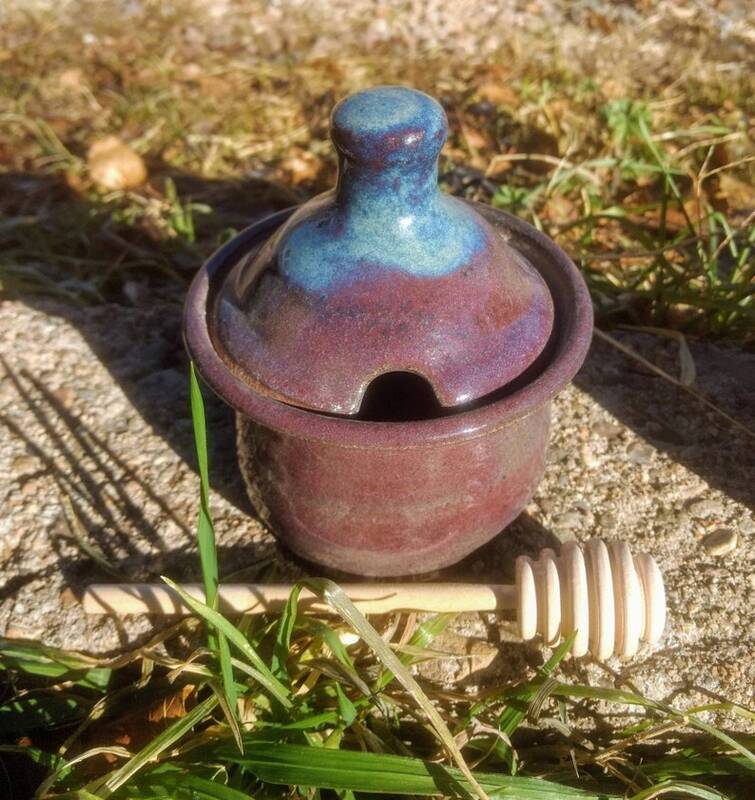 This is a beautiful handmade sugar bowl, honey pot, jam jar, or salt cellar. The lid fits neatly inside the rim and features a small knob for easy handling, and a notch for a honey dipper or spoon the jar holds approximately 10 -12 oz of sugar jam or honey. The bowl is lovely just on its own, and would make a thoughtful gift for yourself or for your favorite coffee/tea lover in your life. pare with a set of cups or pour over coffee maker with matching glazes. They are aproximity 5 in wide by 4 and 1/2 in tall. All pictures are examples. each piece is individually handmade and there will be a slight variations in size and glaze color.